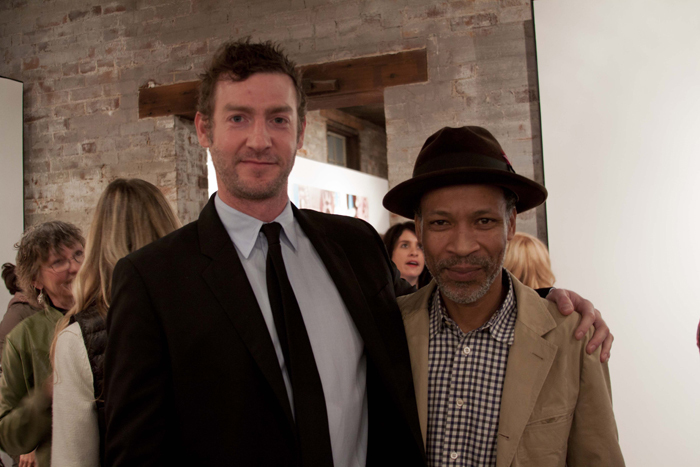 Tommy Taylor and Radcliffe Bailey during “Some Sort of Solitude” at whitespace. 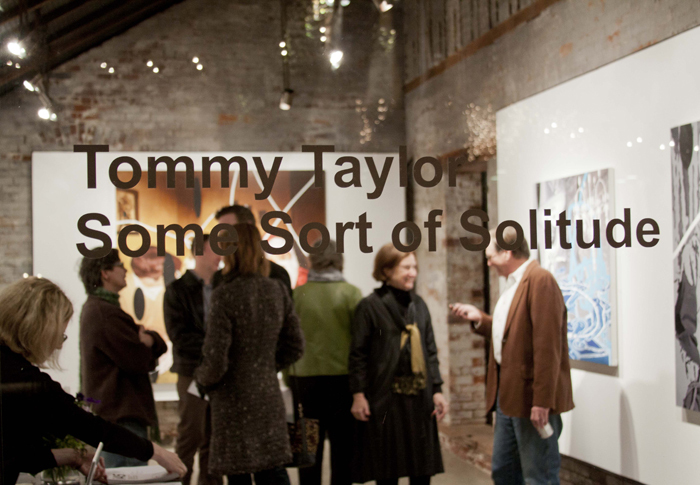 We had a great time at the opening of “Some Sort of Solitude” by Tommy Taylor. There was a good turnout despite the cold weather, and everyone enjoyed seeing Taylor’s new paintings. We even had a special appearance from Radcliffe Bailey! 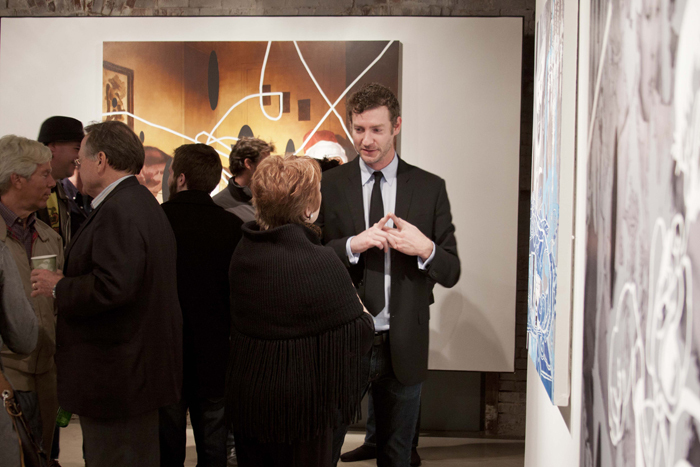 Don’t worry if you could not make it to the opening – the show is up through March 31, 2012. Also keep an eye out for information about an upcoming artist’s talk with Tommy Taylor. Susan Bridges greeting gallery visitors. Tommy Taylor discusses his new work. This entry was posted in art exhibition, Encaustic Painting, radcliffe bailey, some sort of solitude, Tommy Taylor, whitespace on March 8, 2012 by Whitespace.